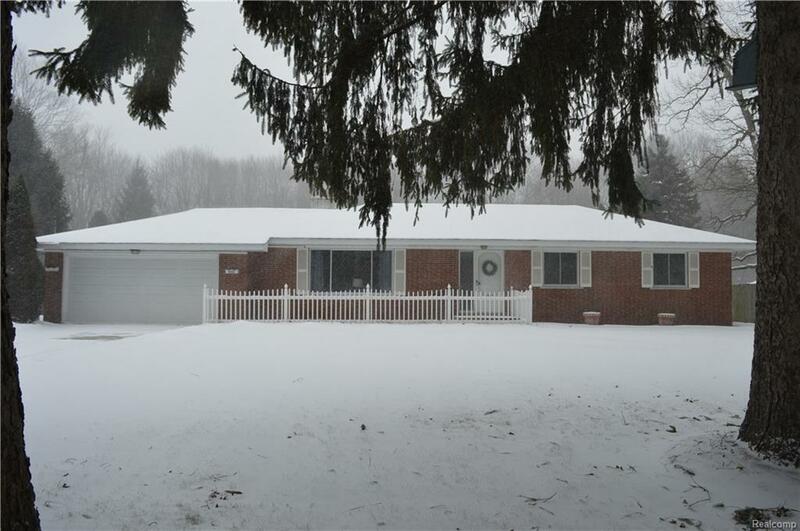 DON'T MISS OUT ON THIS "MOVE IN "READY FULL BRICK RANCH HOME LOCATED ON BEAUTIFUL STONE RD. THIS HOME IS SITUATED ON 1.1 ACRES AND IS NESTLED IN AMOUNG THE PINES AND OVERLOOKING A NICE WOODED AREA. FEATURES INCLUDED AN OPEN CONCEPT KITCHEN AND DINING ROOM WITH BRAND NEW LAMINATE FLOORING-LIVING ROOM WITH BRAND NEW CARPET AND FULL BRICK NATURAL FIREPLACE- 3 SPACIOUS BEDROOMS WITH HARDWOOD FLOORING- UPDATED FULL BATH INCLUDING VANITY, COUNTERTOP, AND FIXTURES-UPDATED HALF BATH WITH NEW VANITY, FIXTURES AND FLOORING- LARGE MUD/ LAUNDRY ROOM-FRESHLY PAINTED THROUGHOUT- 2 CAR ATTACHED GARAGE-NEW ROOF( 2019)- NEWER FURNACE, CENTRAL AIR HOT WATER TANK AND WINDOWS THROUGHOUT- DECK-22 X 40 HEATED AND COOLED OUT BUILDING INCLUDING A WORKSHOP AREA AND PLENTY OF SPACE FOR ALL YOUR TOYS- SHED-CITY WATER-SEPTIC-PAVED ROAD-KITCHEN APPLIANCES INCLUDED- IMMEDIATE OCCUPANCY.